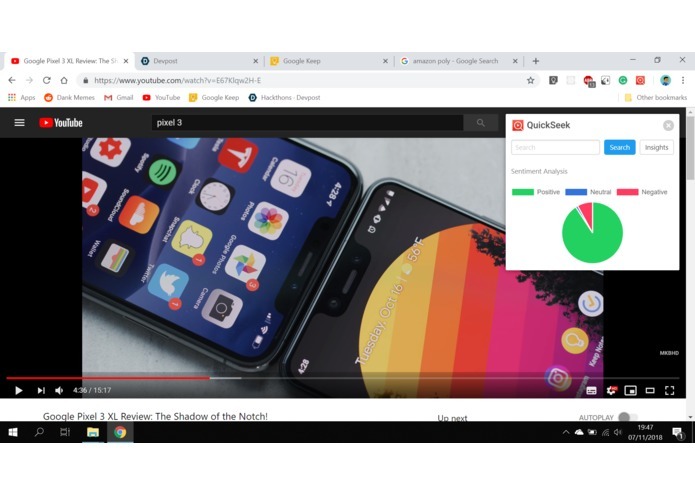 When watching tutorials, lectures or any video on YouTube, I usually come across long videos, sometimes I don't need to watch the entire video but only specific parts of it. 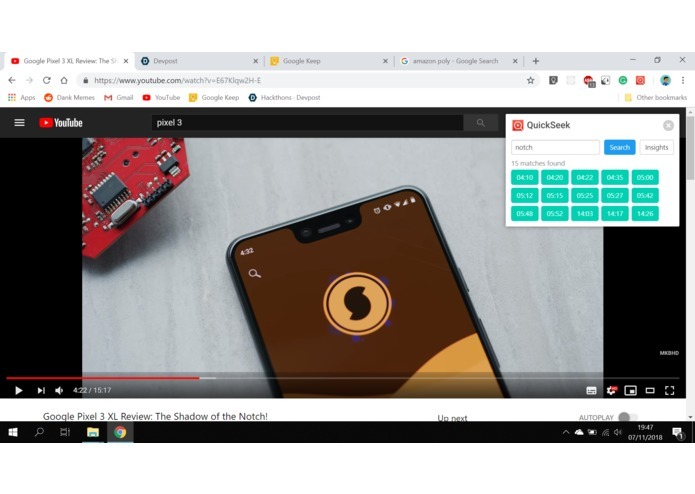 If I want to find when a word was mentioned in a video, I could use the seek bar to guess the position, but that becomes very hard especially on really long videos. What if there was a way to search the video and quickly find what you're looking for? That's where QuickSeek comes in. 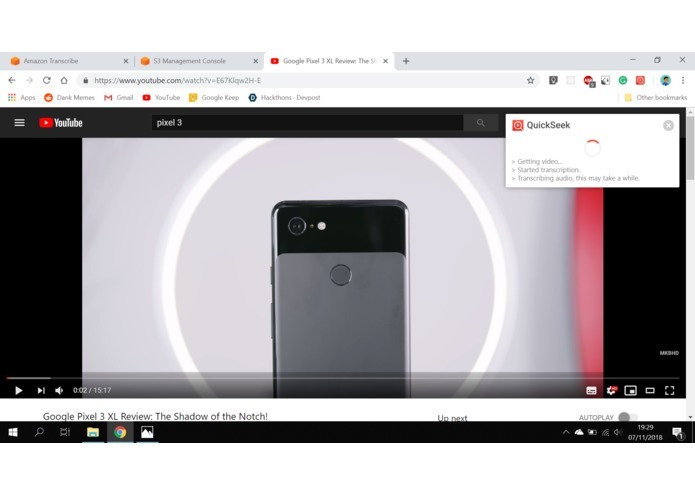 QuickSeek is a chrome extension that allows you to easily search and navigate through a YouTube video, you can quickly find and watch only parts of the video that contain words you are looking for. The Chrome extension uses Amazon Transcribe to make the audio searchable and Amazon Comprehend to perform sentiment analysis on the transcript. I ran into a lot of small challenges while building this app, one big challenge was figuring out how to get the video from YouTube directly to an S3 bucket and figuring out which two A.I services to use. Another challenge I ran into was the 5000-byte text limitation of Amazon Comprehend. I'm glad it actually works! when I started this project I wasn't even sure if it would be possible to implement such an idea within a short period of time. I learned a lot about the AWS machine learning services. Next, I plan to make it possible to save the transcript data locally on your PC so that you can search the same video without going through the transcribing process again. It would also be cool to try out Amazon video Rekognition to allow label, activity and celebrity detection in YouTube videos.